Boosting the standard of middle of the range smartphones, the Micromax A116 Canvas HD brings a wealth of new features to its price bracket. The A116 Canvas HD offers a quad-core CPU – an asset never before seen amongst the phone’s immediate competition. On top of that, there is a high definition screen, which is an improvement on the well-received Canvas 2 A110 – the model’s predecessor. In terms of competition, the A116 Canvas HD goes head to head with the likes of Samsung’s Galaxy Grand, so what are this smartphone’s pros and cons – and should you consider purchasing one? There is no denying it, the Micromax A116 Canvas HD is a large smartphone. In fact, it has been coined a “phablet” by some observers who see it as halfway between a phone and a tablet. The screen measures a whopping 5 inches (the same as the Galaxy Grand) which means viewing websites is easy but fitting the device in your pocket may be less so. The A116 Canvas HD uses the Android 4.1 Jelly Bean OS – the fastest and smoothest version of the OS in circulation today. This puts the smart-phone well ahead of many of its competition, and even beyond the capabilities of many phones in higher price brackets. One area where the A116 Canvas HD appears to fall down is with its storage capabilities. The device is fitted with just 4GB of space. However, if you require more from your phone, there is always the option to expand the available space with a MicroSD card. For photographic capabilities the smart-phone equals its competition, with an 8 megapixel rear facing camera. This will provide a very decent image level. There is also a VGA front facing camera for video calling. The A116 Canvas HD smart-phone is certainly one of the most advanced models in its price range and with a quad core CPU it will be able to provide a faster and better browsing and gaming experience than its counterparts. But will this take its toll on the device’s battery life? As of yet this is unclear so only time and experience will tell. 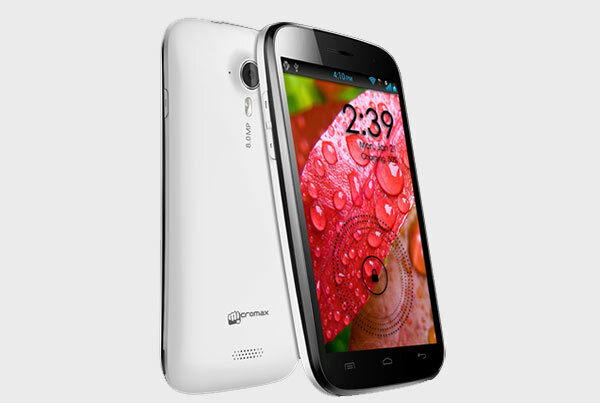 This Micromax A116 Canvas HD is powered by a lithium ion battery of 2100 mAh capacity. Connectivity options in Micromax A116 Canvas HD includes WiFi, 3G, EDGE, Bluetooth and GPRS. In India its all about the price, and Micromax Canvas HD A116 has a MRP. of 14999 and is expected to sell under Rs. 13000. So, what do you think about Micromax A116 Canvas HD? Do let us know your opinions in the comment section below.